They’re the only deals website who offer a 200% money back guarantee on every product. This means that if you’re not happy with it, you get your money back and you also get to keep the product. Because Inky (the lovable little ink blob and mascot of Inky Deals) and his team enjoy giving back to the community, they’ve created a huge free web design bundle: 471 Premium Design Resources for Free value $519, which you can find exclusively on Inky Deals. This is just a small part of the design goodies you get by downloading this free bundle. 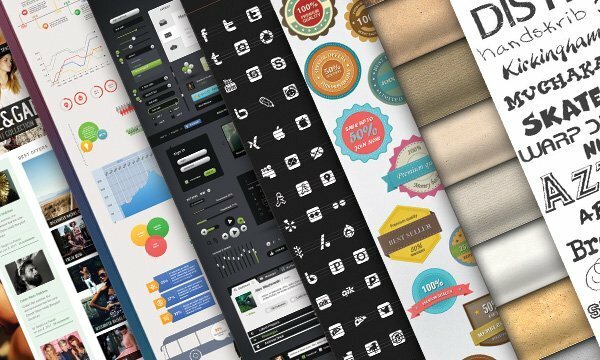 Check out the entire 471 Premium Design Resources for Free! Andra Postolache is the PR and Editor of Pixel77 and Designious. She’s passionate about writing, Marketing and animal prints. Get in touch with her on Twitter and Google+.